The four travellers made their way slowly along the rough path that climbed gradually across the steep mountainside. They had been going for several hours and all were weary as they stumbled on the stones and the ground frozen iron hard by the wind. It was early November and the landscape was painted by new snow; indeed more was on the way and the harsh rocky peaks that towered ahead were beginning to fade behind a mass of drifting flakes in the rapidly approaching storm. The wind was bitter from the North. The travellers were making their way from Aosta in the Italian valley of the Dora Baltea to the township of Martigny in the Swiss canton of Valais. 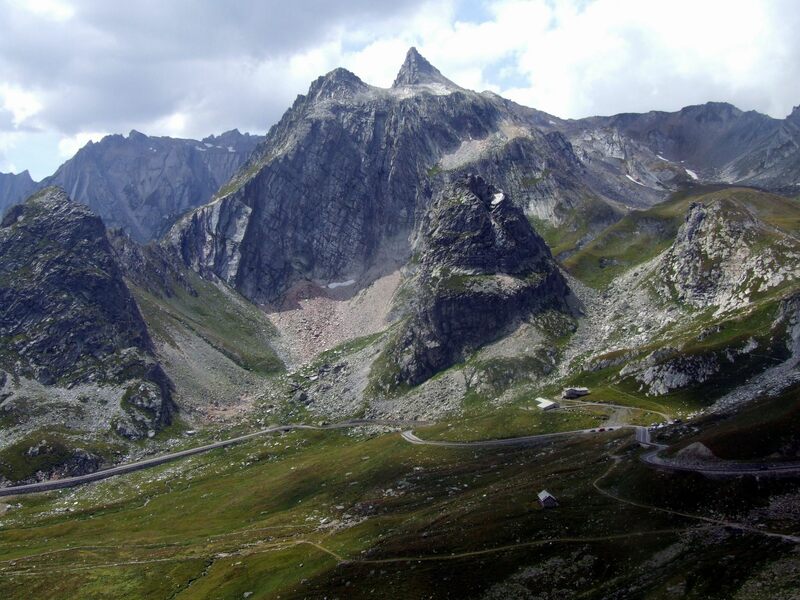 They were Giuseppe Borelli and his wife Maria, both of Aosta; Roberto Mauriello also of Aosta and Gaston Dubois of Courmayeur who was acting in part as guide for his companions having made the trip across the Alps several times by both the Col Ferret and this, the Col du Grand St Bernard. 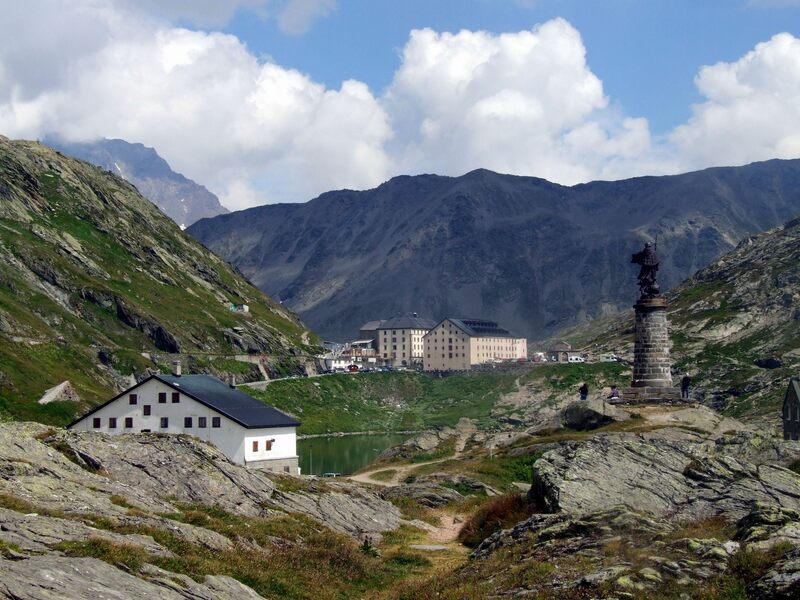 The hospice astride the main ridge of the Alps on the Col du Grand St Bernard or Great St Bernard Pass was founded in 1049 and has provided shelter to travellers between Aosta and Martigny since ancient times. Today a road crosses the eight thousand one hundred foot elevation; the only road to cross the Alps between Mont Blanc and Monte Rosa while nearly two thousand feet below the crest, a tunnel has since 1964, avoided the main pass which can be closed by snow and avalanche danger for six months of the year. 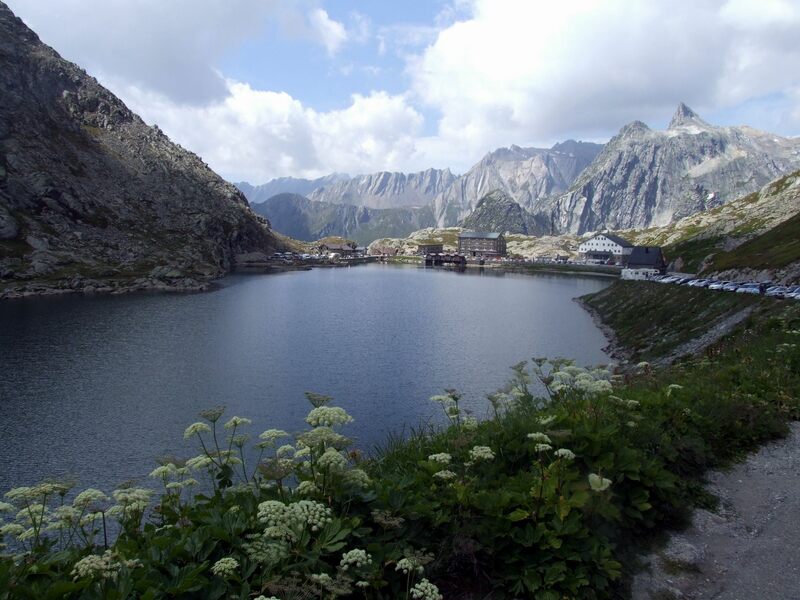 Trails lead off into the surrounding mountains; notably to the Col de la Fenetre, a hikers pass between Switzerland and Italy, but the main tourist attraction here are the St Bernard dogs which are still in residence. Until recently they were used as rescue dogs and the image of the St Bernard carrying a barrel of brandy is still an Alpine icon even in these days of avalanche transponders and locator beacons. Today they pose nonchalantly for the tourists who arrive in hoards in the summer. Stray just a little way from the road though and this place is revealed for what it is – the top of the Alps – and looking across the rugged terrain to the awesome views it is easy to imagine the St Bernard in the days before the road; and the travellers who came this way when it was still an expedition to do so. 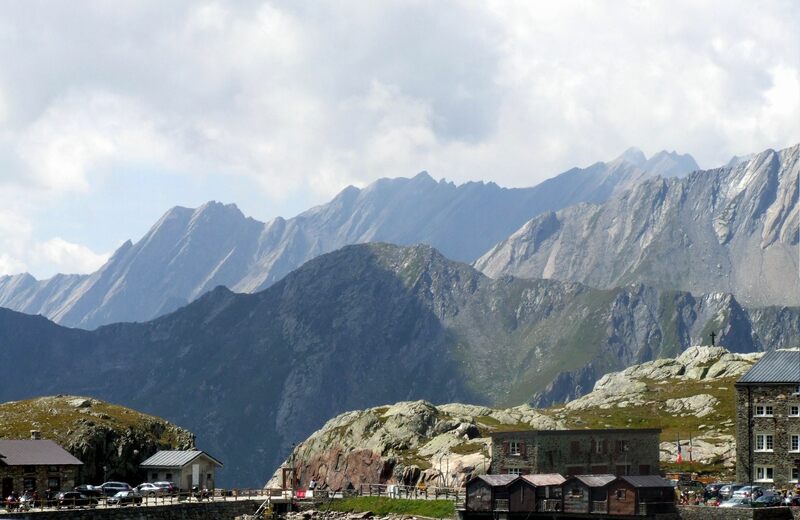 This entry was posted in Switzerland and tagged Alps, holidays, landscapes, mountains, outdoors, photography, random, Switzerland, travel, writing. Bookmark the permalink. Nice post Pete. I’ve driven over the pass in summer, and it’s truly spectacular! Thanks Paul – was with the family so couldn’t stray far from the road! Still a good trip though. Thanks – I’m always fascinated by what places like these were like before easy access and you don’t have to go to far to be out of sight of the road and cars. It’s actually pretty remote from the nearest village. WoW… now thats beautiful country. 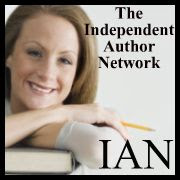 Thanks for giving me a sense of place and background with your pics and very informative writing. Thanks Mike – it was during our trip to the Alps in the Summer. First went when I camped at Aosta as a kid so thought it was worth a revisit.